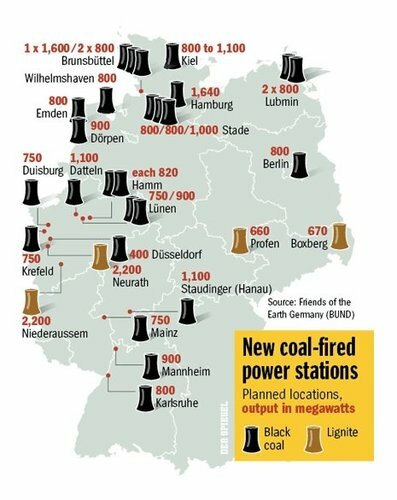 Amidst the Energiewende-based push to close nuclear plants and build increasing amounts of renewables to power German energy needs, Germans are looking more and more to coal to provide their electricity. As this RealClearEnergy.com article notes, German wind power sat essentially still, unproductive for a full week last December. Strangely enough, Germans still needed energy despite the renewable lull. They’re closing nuclear and gas in Europe is too expensive to compete as a baseload fuel, so only coal remains. Germany’s energy transition has also been a transition to coal: Despite multi-billion subsidies for renewable energy sources, power generation from brown coal (lignite) has climbed to its highest level in Germany since 1990. It is especially coal-fired power plants that are replacing the eight nuclear power plants that were shut down, while less CO2-intensive, but more expensive gas-fired power plants are currently barely competitive.